Unforgettable events between glaciers, mountains and lakes in Zell am See-Kaprun! Whether the Ferry Porsche Congress Center, which is equipped with state-of-the-art equipment, the summit world at the Glacier Kitzsteinhorn, the large hangar at the airfield Zell am See, the new casino or the ship MS Schmittenhöhe at Zell am See-Kaprun offers exceptional locations for unique events . 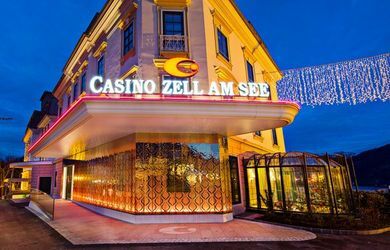 The Casino Zell am See as an event venue has 2 function rooms totaling 800m² for 350 people in the largest room. The event venue is located in Zell am See / Salzburg with panoramic views over lake Zell. 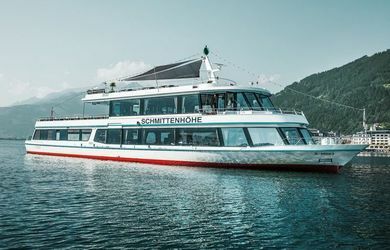 The MS Schmittenhoehe as an event venue offers 1 Event boat on total 300m² for 245 people. The pier of the MS Schmittenhoehe is located on the Esplanade in Zell am See / Salzburg, between the Grand Hotel and the Central Train Station. 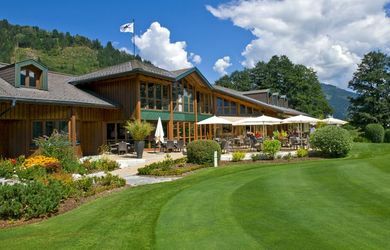 The Golfclub Zell am See - Kaprun - Saalbach - Hinterglemm as an event venue has 1 function room totaling 150m² for 100 people in the largest room. 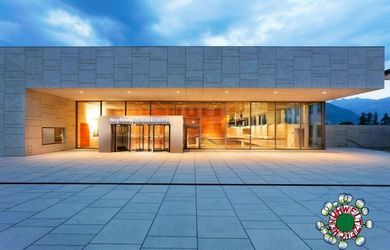 The event venue is located in Zell am See / Salzburg with panoramic views on the Kitzsteinhorn mountain.